Brandon is shaki'n up the house! 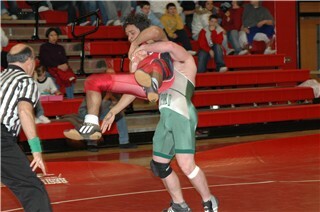 Taking his opponent "uptown" and then "downtown"..all the way downtown to the pin! Scrapper Ethan Shore is on the move! Tangled on top ready to stick his Derby opponent! And there it is a "W" for Shore and Guilford. Hey now, Nat Summerton comes out busti'n a move on the mat making Coach Vedrani and Coach Crocco proud. And now he's ready to turn his opponent. A well deserved victory for Nat...yeah! 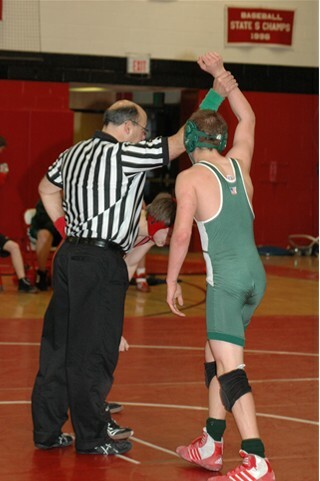 Here comes Andrew roaring out on the mat...take down in hand...always a hard worker and team player! Lefty's got it right at Derby, locking up a victory! Another scrapper has been SPOTTed on the Varsity squad! And look-ee here...Li is in action turning up the heat on Derby! 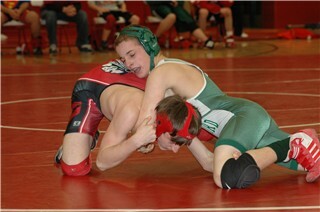 Come see our next SCC match on Tuesday, December 30th, GHS at 6:30 pm vs. Branford.